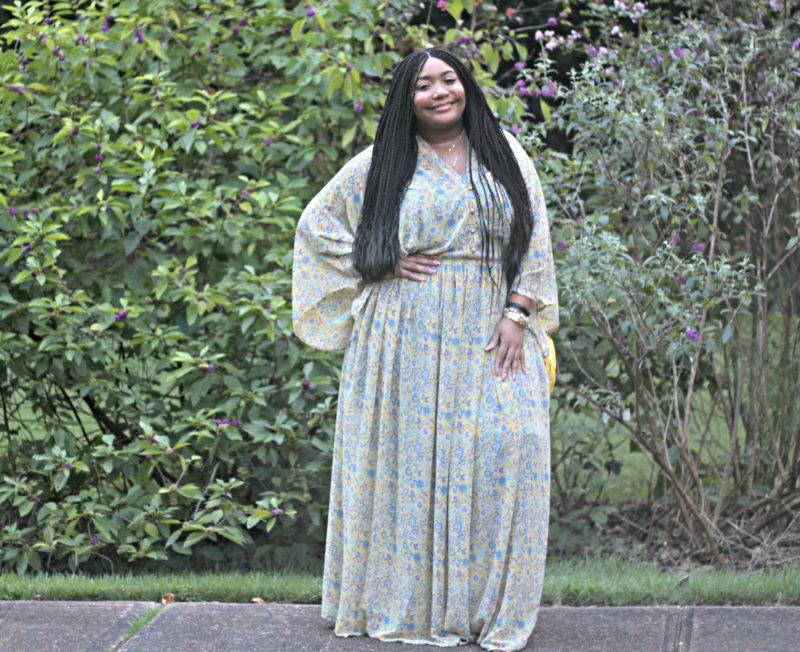 I am so excited to bring you all the third installment of my four part series “Summer Style Favs.” With having surgery before Summer my energy was very low for the most part. I finally feel like myself. Next up is the maxi dress. 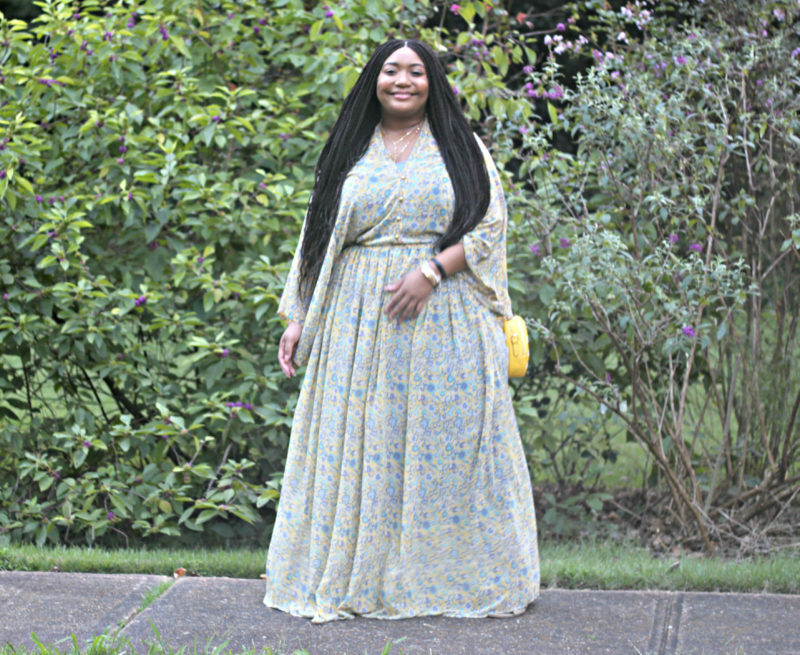 I know, I know, for most people summer is almost over, but let’s remember maxi dresses are basically every girl’s staple for summer. I have worn so many dresses on my blog here are a few: here, here, and here. 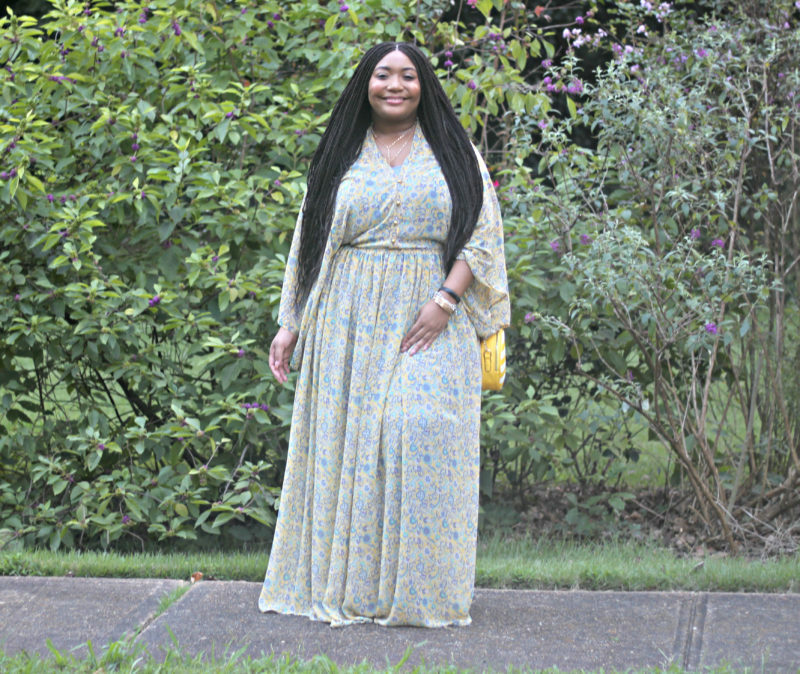 Being able to be totally comfortable is a must for me in this Memphis heat and this maxi dress was perfect. I love a dress with over exaggerated arms. 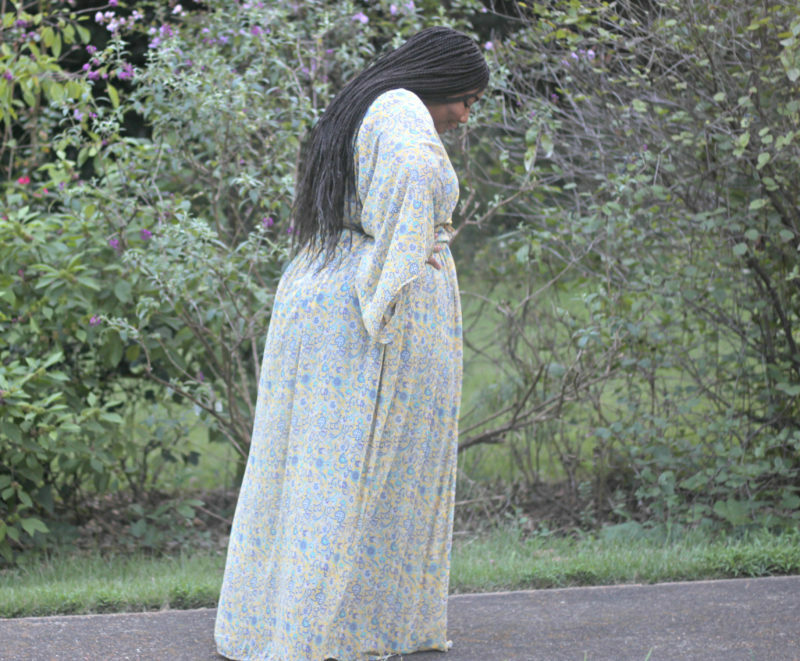 The length of this maxi dress is phenomenal. 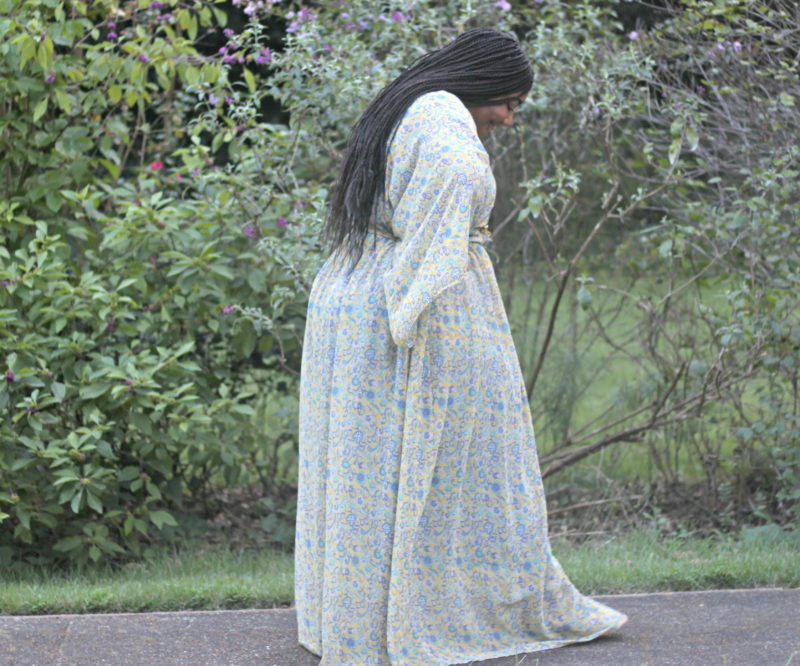 I am not super tall person (only 5’6″) but I love for my maxi dress to hit ground. I felt like a princess carrying my dress with both hands, which happened in real life with this dress. This maxi dress is very sheer. So, I opted to pair a super cute light blue bodycon dress with it. The bodycon would be super nice without anything over and I love being able to be free with my clothing. My super comfy flat sandals helped to complete this look and I literally could not get a good picture of them. My gold tassel necklace was the perfect accessory for this outfit. 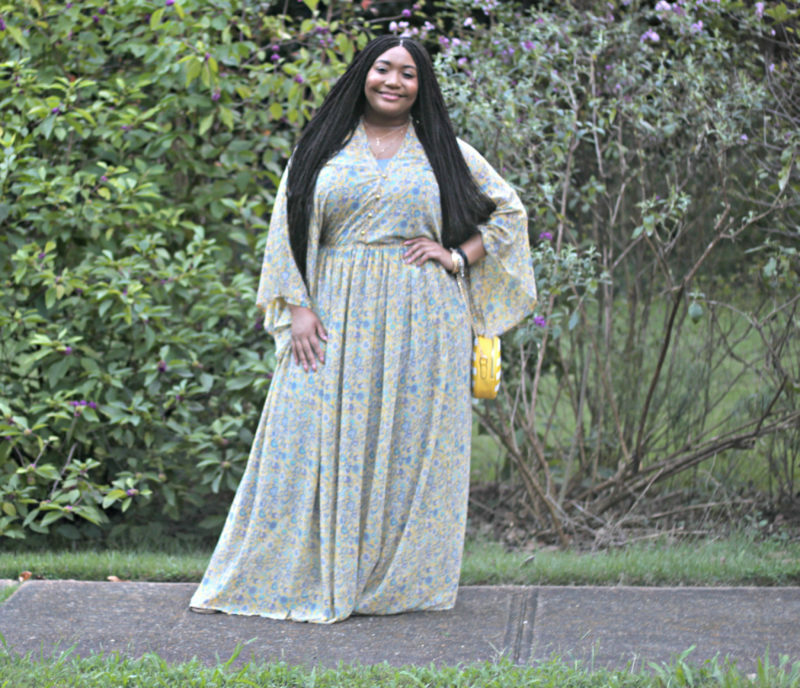 Style Notes: This maxi dress is a size 2x, because the 1x sold out pretty fast. I had my seamstress take the dress in at the waist a few inches. I need to add this dress would be perfect for a tall woman. 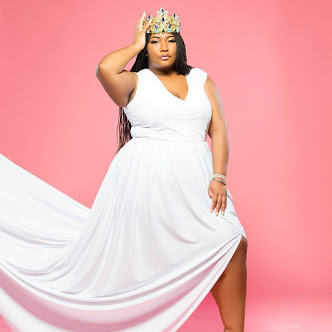 The bodycon under the dress is a 1x and fit true to size. The sandals (not pictured) are a size 10 and true to size. *Check below for links to the items featured. Soo pretty! 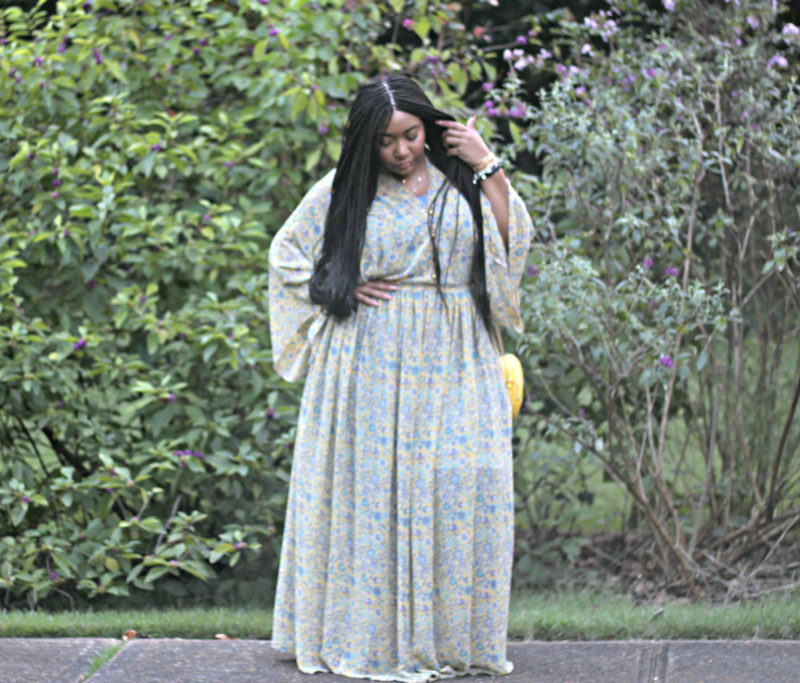 I am loving maxi dresses lately and this one is gorg! You are wearing that dress boo! I love the soft colors and the flowiness of this dress! Let me borrow it! This dress is super cute. I love it!!! That maxi is super cute! Love it so! Ok Ok ! I am clear now why you dress looks so good on you and mine is kinda so so! You had the waist taken in!! Brilliant ! I am totally doing the same, my dress is way too big and i was not loving it until I saw you in yours. Off to the seamstress I go! Thanks lady! Keep Slayin’!